Teacher, parent and marcher: Jim Miller and son Walt. 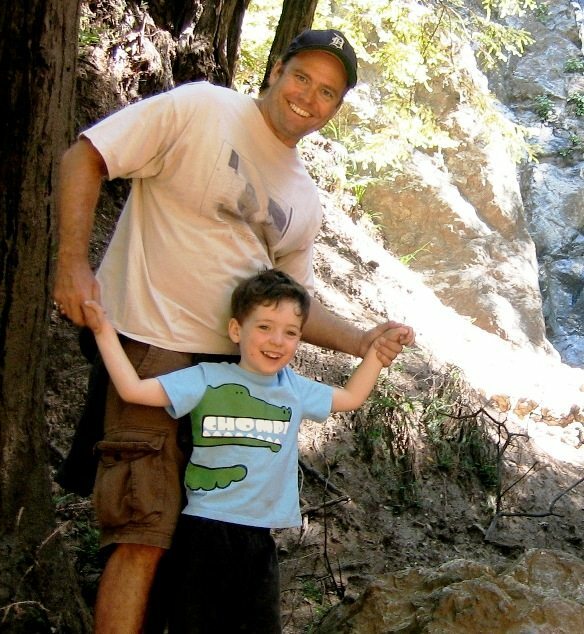 As a teacher and a dad, Jim Miller is setting off Friday to walk 260 miles up California’s spine for the future of his state, his San Diego City College students and his 6-year-old son. Short of making Miller’s grueling seven-week commitment, everyone can take steps this week to support the March for California’s Future, led by the California Federation of Teachers. With our state government paralyzed and public services as fundamental as education and roads cash-starved and crumbling, it’s easy to forget that California is still the world’s 8th-largest economy. We have riches — and they can be directed toward our common good. 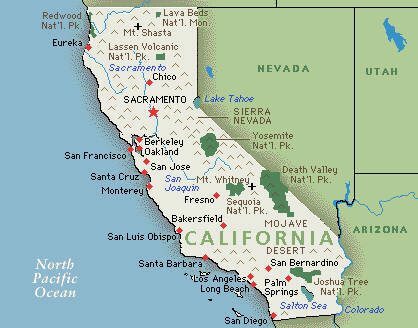 The once-great state of California is self-destructing through irresponsible tax policies stretching back 32 years to Proposition 13, which made it so hard to raise taxes — requiring a two-thirds vote of the Legislature — that the state can’t generate the revenue for its basic needs. Attempts at fair, progressive taxes are routinely and falsely attacked as anti-business, while the Legislature continues to hand out billions in corporate giveaways. And ballot initiatives like the Three Strikes law have locked in costs. Instead of responsible budgeting, the governor is considering foolhardy privatization schemes that might bring quick cash but at great long-term cost. But our neighbors to the north have found a better way. Oregon voters in January overwhelmingly approved tax increases on corporations and the wealthy to save their public schools and other state services. Besides Oregon, Progressive States Network reports a wave of support elsewhere for progressive taxation and rejection of anti-tax measures. PSN also debunks the myths that taxes kill jobs and economic growth. The marchers trekking from Bakersfield to Sacramento between Friday and April 21 have a clear request for lawmakers: Restore fair and equitable taxes to rescue quality public education and services. Miller, a City College professor, is one of eight core marchers walking the entire route, with thousands more faculty, students, other state workers and voters expected to join in for segments of the march. Along the way, they will conduct teach-ins and town hall meetings, visit local legislative offices, register voters and collect signatures to put a ballot initiative, the Majority Budget Act, that would allow the state to pass budgets with a majority vote. The march kicks off with a rally in Los Angeles on Friday morning. Check the AFT Local 1931 website for information on joining the march over spring break (March 27-April 3), or to help greet the marchers with a huge rally in Sacramento on April 21. Throughout the march, blogs, photos, progress reports, tweets and more will be posted at Fight4CAfuture.com. Today, the 4th, is a day of local actions throughout the state. In San Diego, a rally is scheduled for 3 p.m. at the Centro Cultural de la Raza in Balboa Park, on Park Blvd north of President’s Way, followed by a march to the Governor’s San Diego office on Front St.
It’s time to restore the promise of California: high quality public education and a state government that works for everyone. Join the march for a day or more. The fact is that state education funding is projected to become a LARGER percentage of the budget, even with the cuts. But since the economy is down, tax revenues are down, and we need to cut back state government spending. And this is an example of a major crux of the limited government argument. Government’s have a harder time cutting back spending, compared to private enterprise, when revenues are down. If a private company cannot efficiently cut back they go out of business, if a public organization cannot efficiently cut back they go to the tax payer. Private companies are forced to become more efficient, and operate on a higher level, while public organizations don’t feel similar pressure, and continue down the path of mediocrity. Now, there is something to be said about the stability that the government provides public organizations (AIG anyone? just joking…), because we don’t want our schools to go out of business when the economy goes bad. But one can see how the lack of the pressure of failure would produce mediocre results. Maybe Jim and the rest of the great educators in this state could buckle down and make due with less like the rest of us. The best solutions and innovations come out of tough decisions and new processes (something they don’t teach in schools…). What we have in CA is a system where people are able to vote themselves expensive services and programs, and also to vote themselves immunity from taxe hikes. Not surprisingly, it hasn’t worked out too well. An inadequately educated labor pool will kill economic growth as surely as overzealous taxation will – there are better places for the state to make the necessary cuts. Such as not printing those asinine stickers on the windows of every new car sold in this state that tell me gasoline, crankcase oil and radiator fluid are bad for me. Gee thanks CA, I would have never guessed.